Indexing all your posts in Google is the best way to attract huge organic visits to your blog. It is a difficult job for us to submit each and every post to Google one by one especially when we have already many posts published on our blog. Getting this thing easier, we can submit sitemap of our all blog posts to Google in one go and they all will get submitted to Google. Great na? Isn't it? Yes, it is. 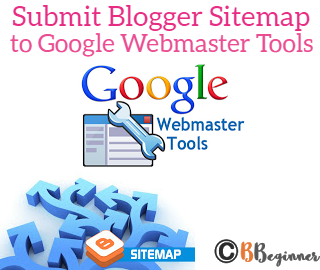 So In this article we are going to learn how we can easily submit sitemap of our blogger (blogspot) posts to Google Webmaster tools. So lets start the tutorial.Before submitting sitemap to Google Webmaster Tools, we must know about sitemap first. A sitemap is an XML file which contains the list of all pages in our blogs. Sitemap improves blog’s crawling rate and it also helps search engines to index our blog pages when submitted. Simply, sitemap tells search engines about the contents on your blog. Must Read : How to Add Custom Robots.txt File in Blogger (Blogspot)? Click on the blog for which you want to submit the sitemap. Click on the “ADD/TEST SITEMAP” at the upper right corner. In the box, copy paste the following code. That’s it. You’ve successfully submitted the sitemap to the Google Webmaster Tools/Search Console. Remember the above sitemap will work for first 500 posts of your blog. Now, wait sometimes and let Google index all your published posts in a go! If you face any difficulty or have any query regarding any blogger doubts, let me know in comments.